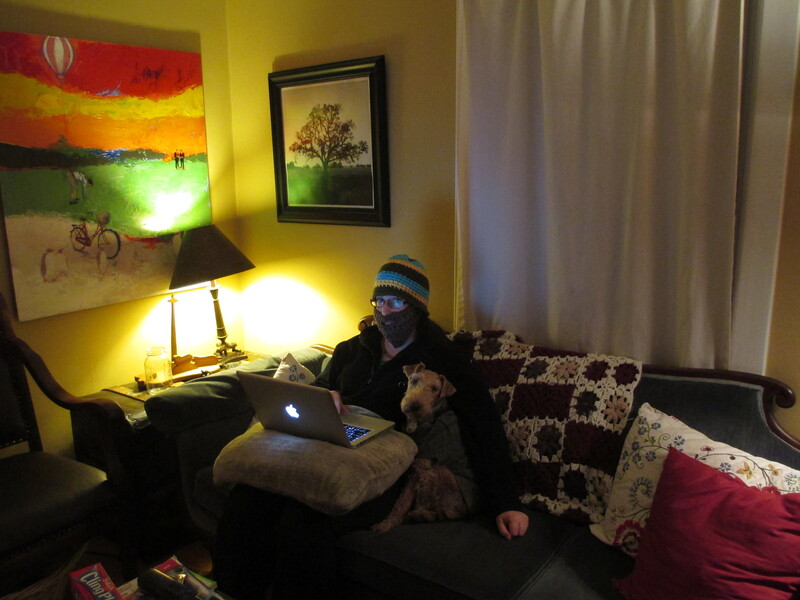 Here my wife is sporting the “Beardo” hat she made for her brother. I love putting more thought, effort, and time into our Christmas gifts. The only problem is that my wife tends to have virtually all of our family’s skills in this area, so I guess I like it when she puts in the time. The colorful painting in the upper left was done by Adam Swanson, a local Duluth artist. The couch was purchased from one of our neighbors. She got it from Bob Dylan’s brother back in the 1960’s or early 70’s. Apparently Bobbie use to sleep on it when visiting his bro, and I believe it probably was a hand me down from his parents for his brother at that time, so it’s possible he grew up with it as well. Just kind of neat to have in our house is all. Of course Dylan was born here in Duluth, and spent his first years here before the family moved an hour north to Hibbing.